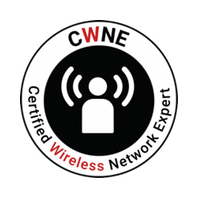 Having successfully passed both the Certified Wireless Technology Specialist (CWTS) and Certified Wireless Network Administrator (CWNA) my journey to Certified Wireless Network Expert (CWNE) has begun. Granted I didn’t need to take the CWTS as that is not a requirement I chose to take it given that as I was planning on having the PMs and techs where I work go through the exam to increase their wireless knowledge. With less than 100 CWNE’s in the world one needs to ask themselves if they are ready for this challenge or not. Achieving the CWNE is not as simple as studying for an exam and passing said exam, the CWNE certification takes into consideration your real world experience by means of three years of documented enterprise wireless implementation experience, three professional endorsements, three 500 word essays documenting separate enterprise wireless implementations, two other current & valid professional certifications, and last but not least the gauntlet of exams that go by the names of CWAP, CWDP, and CWSP. 3 Years of Enterprise Wireless Experience – check, I’ve got that! 3 Professional Endorsements – pretty sure I can find 3 people that will endorse my abilities! 3 500 Word Essays – time to break out the old blue books and get writing. 2 Current & Valid Professional Certifications – CCIE #31229 (Wireless) should cover one, CCNP Wireless should fit as well. Those last three are the big items that I need to take care of yet. I’ve thought a lot about what would be the best order to take those in, does it make sense to do the CWAP which focuses on analysis before CWDP and CWSP because it will lend itself nicely to packet analyzing? Or maybe CWDP should happen first with the overall design concepts? There really isn’t a right or wrong way to go, it’s all about how you learn. Are you heading down this path? I’d love to hear your comments as to your testing strategy and goals for becoming the next CWNE! Great stuff Blake! Keith and I agree: CWAP first. 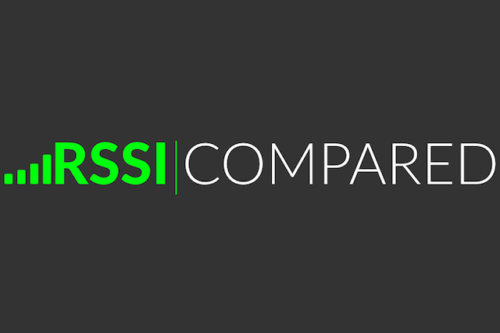 Once you’ve mastered the 802.11 frame and processes, CWSP and CWDP will *seem* that much easier, because you will know your stuff. Balancing this with the CCIE will be a task that is for sure, I would estimate somewhere around 18 – 24 months, so by the time you are ready you’ll have your three years I’m sure Jake! Let me know if I can help with anything! Blake, shortly I will be starting my journey to become Wireless Certified. I have 5 years experience in Cisco Networking (CCNP/CCDP/CCVP) and am looking for the right path to become Wireless Expert. Do you recommend doing Cisco certifications first, or CWNP certifications? I was planning on going for the CWDP followed by CCIE? Thoughts? Rick I feel that if you do a mixture of the two programs that would help you succeed. Start with the cwna to get basics, then do ccna-w. follow up with the professional series from CWNP while doing the CCNP-W. this will give you a good mixture of theory with product specific.